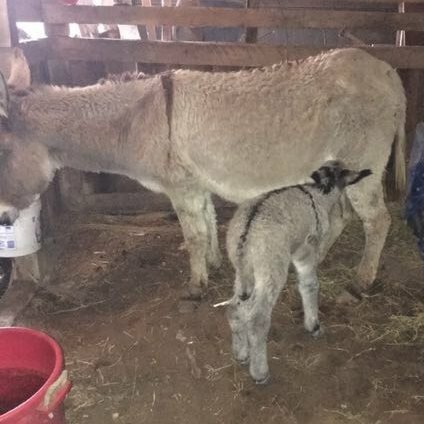 Sometimes, you just never know what’s going to happen on a farm. We bought Maybelle and her young jenny, Hattie, back in May 2017 because they didn’t get along with their owner’s horses. Well, these donkey’s are mostly gentle, but they are far from pets as we bought them to help protect the cows from the coyotes. 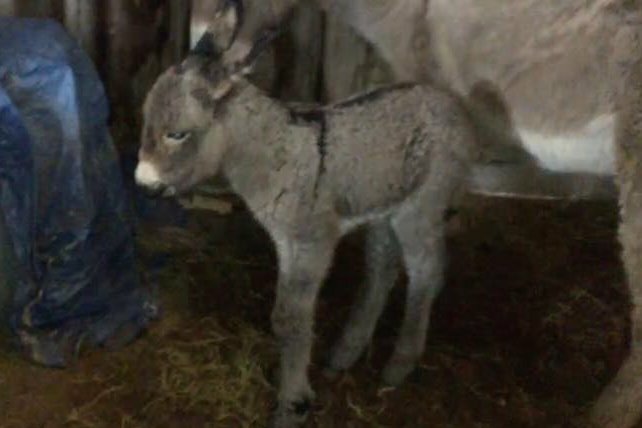 Well, the afternoon of Monday, January 16, 2018, Ned checked on the cattle water and discovered this in the field! We had no idea. She’d had a saggy/full belly since we bought her 7 months before and figured it was just her physique and age showing, lol. 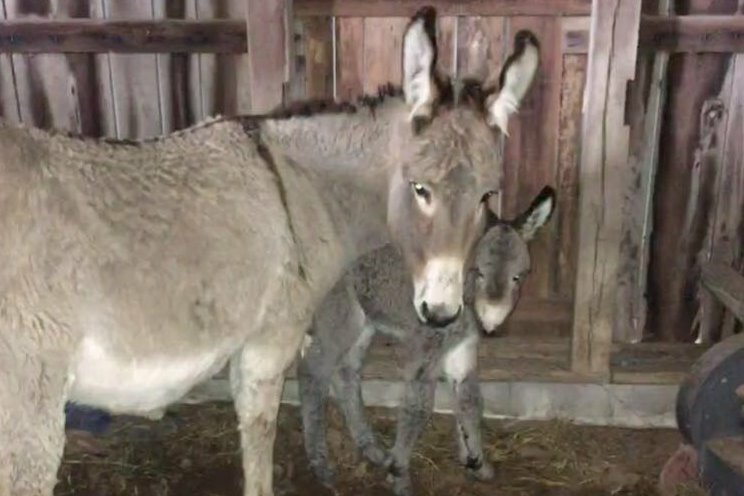 With the temperature supposed to be down into the single digits that night, Ned picked up the jenny and carried her to the barn. 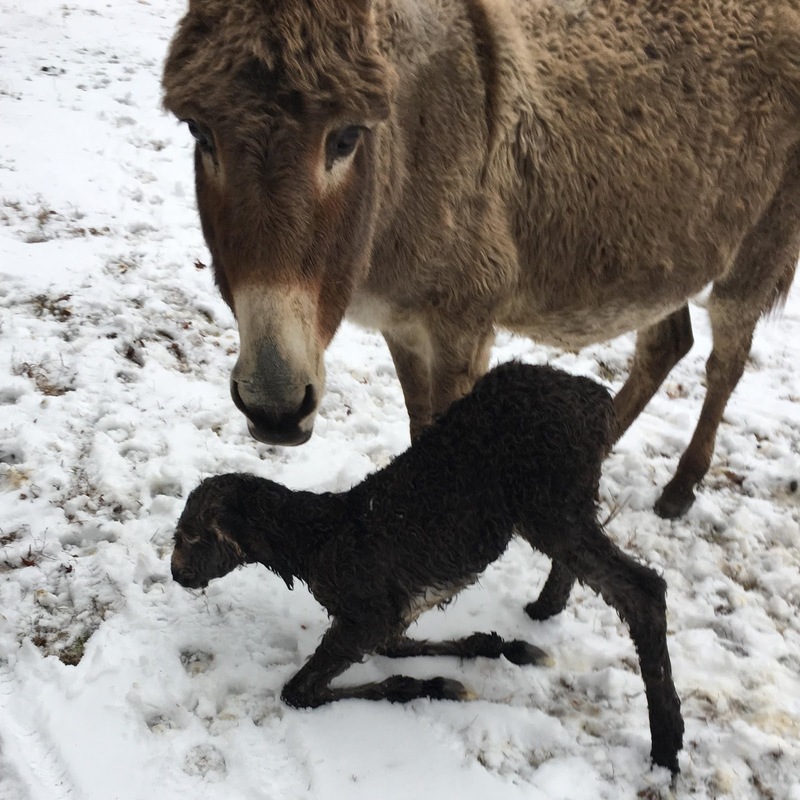 Maybelle didn’t attack, but followed calmly so that Ned could get them safely into a stall with food and water, out of the wind and snow. We are happy to report that Martina Lou is doing very well indeed!